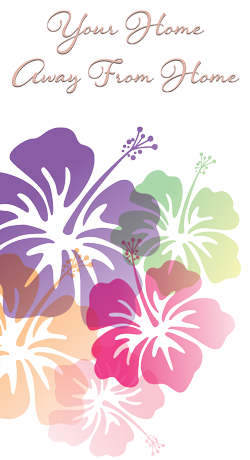 Mission Statement: To uplift our clients with acceptance, graciousness and gratitude. Ho’oNani Day Center is a for-profit organization on the Big Island of Hawaii established in May, 2002. We are licensed by the Department of Human Services to provide care for up to 10 clients per day, and meet federal standards for adult day care centers. 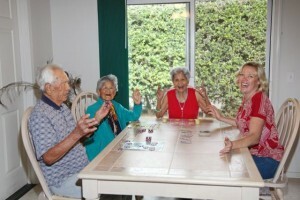 We are also an involved member of Adult Day Centers of Hawaii. 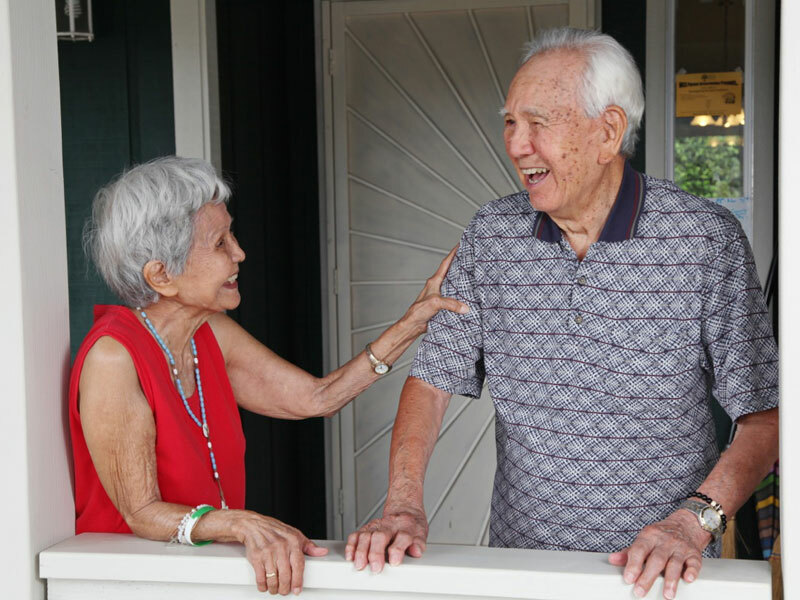 As an alternative to entering a long term care facility, Ho’oNani Day Center provides a secure, comfortable environment for adults to enjoy during the daytime as a “home away from home”. We give you peace of mind to go about your day, while offering your loved one compassionate, experienced and trusted care, a day full of activity (or rest if they need it), and tasty lunches provided by North Hawaii Community Hospital. We also have a pet therapy program. Animals are known to provide a great source of comfort to people of all ages, not to mention documented health benefits, such as lowering blood pressure. This is why we encourage our clients to enjoy the pets that visit and live at Ho’oNani. The center is a custom designed one story home, settled within the picturesque residential community of Waimea. Calming vistas of surrounding Mauna Kea and the Kohala mountain range abound. Located directly behind the town ballpark, clients often enjoy watching community activities which include skateboarding, baseball, soccer and football. The center is wheelchair accessible, and our open floor plan provides easy access for a variety of physical disabilities. 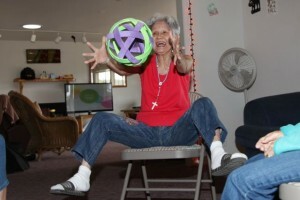 Our clients vary from those with primarily physical limitations, to those with decreased cognitive function. Some are ambulatory and do not require assisted devices, while others use canes, walkers or wheelchairs. We are skilled in transferring clients and have created spacious toileting areas to provide ease while assisting them with daily care. Amidst the many benefits of our day center, social interaction actually provides an increase in brain stimulation. 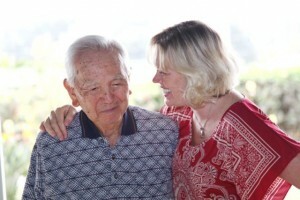 Dr. Anegawa, previously our local Neurologist at North Hawaii Community Hospital, strongly emphasizes the value of the adult day care environment. He considers adult day care to be one of the many prevention/behavior management techniques and practices for cognitive impairment. He has explained that the one area of the brain which is not affected through Alzheimer’s Disease is that which provides our social skills. Therefore, socialization provides a gateway to involve other areas of the brain. We are proud to provide this service, along with numerous therapeutic activities. A Sub-Entity of Ho’oNani Adult Care Services, Inc.